The word “budget” gets a bad rap. But if I were to tell you that there is one key to reaching all your financial and most of your life goals, you’d want to know what that magical secret is, right? See, every time you receive your paycheck — or any income — what you do with it can either take you closer to or farther away from your goals. For instance, if you want to take a trip to Brazil next year (for the World Cup! ), you could stash money away now with every paycheck and, after doing that for a year, if you did your math right, you’d have enough to go. It’s the same for paying off student loans or amassing a down payment for a house — a little bit every month eventually gets you there. On the flip side, if you don’t pay attention to how you spend, in a year’s time, you may be no closer to any goal and wondering where all your money went. This is actually the situation most Americans may be in: A recent Gallup poll showed that only one in three Americans creates a detailed household budget, a depressingly low figure. Now we’ll talk about how to channel your income towards your major expenses, including debt, housing and spending money. When it comes to the big financial goals, you may already know your money will be pulled in three directions: toward retirement, savings and debt. According to a recent Wells Fargo survey, more than half of millennials know the importance of paying down debt, with 54% saying it’s currently their biggest financial concern. The same survey showed a similar proportion — 49% — have already begun saving for retirement. If you can, figure out how much of your paycheck goes toward these items before you even find housing, because it’s more important to send money toward these than to what will most likely be a rental you’ll share with friends. Emergency savings can keep you from falling into credit card debt or could enable you to pay your bills if you were to lose your job. As I said in the first story in this series, you should have long-term savings for emergencies such as a layoff, and a short-term pot for big, one-time expenses that come up, such as a car repair. In order to get those started, prioritize building those accounts in the first few months after you graduate. For those with student loans, this is an especially crucial time to take advantage of, because you may have a six-month grace period before you have to start paying back your student loans. “That’s a really great time to put as much as you can toward your emergency savings, so you have at least a couple thousand dollars saved up before you have to pay back those student loans,” certified financial planner Sophia Bera, founder of Gen Y Planning, said by phone. Another good reason to do it? So that you get used to that money coming out of your paycheck and not being available for spending. That will make it a lot easier when you start making student loan payments. If you’ve racked up credit card debt while in school, then come up with a plan to pay it off as quickly as possible. Credit card debt has a much higher interest rate than student loans, so it makes more sense to pay it off more quickly than it is to build up emergency savings which will only earn you around 1% at today’s interest rates. In order to pay off your credit cards, you’ll need to stop using them completely and then put the same amount toward them each month. Also, see if you can pick up a part-time job or make side income using sites like TaskRabbit or Craigslist, or by doing things like tutoring, freelancing, babysitting, waiting tables or mystery shopping. Even look into selling old items you don’t use anymore that may have some value — and then put the profits toward your debt. Retirement savings, through most of the rest of your working life, will be your top financial priority. Never let yourself make the excuse that since it’s a long way off, you can postpone it. The amount you have to save is so huge, that you need to be saving for it with every paycheck. Since you should have already set up your paycheck to get the free match in your 401(k) plan, that money won’t be hitting your bank account. But you should also be saving money on your own in your IRA. How much you allocate toward each of the above depends on your personal situation. If you don’t have credit card debt, then you could, for instance, put 10% toward retirement, 10% toward emergencies and 10% toward short-term goals or student loans. If the minimum payment on your student loans already takes up 20% of your paycheck, then you could put 10% toward long-term emergencies, 5% toward short-term emergencies and 5% toward retirement, Bera suggested. These are pretty ambitious figures, though, and being so aggressive about putting money toward your financial foundation could be a challenge. So, if you can only swing 5%, 3% and 3% instead of 10%, 5% and 5%, that’s fine — you can always use future raises or side income to beef up those contributions. Blair Hodgson DuQuesnay, founder and CEO of Ignite Investments and Planning, said by phone that it’s important to get the savings going first, because once you put your money into a 401(k) or IRA, you can’t take it out without paying a penalty. And if you fell into credit card debt because of an emergency, the double-digit interest you’d pay on it would negate the high single-digit interest you’ll make in your retirement account. Getting the balance between your earnings and expenses is not easy right off the bat. You may need to find an apartment before you even get your paycheck, or you may underestimate how much you’ll spend on everything from going out to utilities to health expenses. But keeping your biggest costs low will go a long way to giving you breathing room in your budget. She also recommends that your static bills — housing, utilities, and other fixed expenses that recur monthly — don’t take up more than 50% of your budget. If you can keep them even lower than 50%, like, say 40% or 35%, you’ll have even more spending money for everything from food to clothing to savings. Okay, now, we get to the part that you’ve probably been waiting for: How much will you have to spend on fun stuff every month? To figure that out, let’s start by adding up all your fixed costs: your student loan and credit card payments, rent, transportation, cell phone bill, gym membership, etc. (You could add groceries in here, if you plan to stick to a set amount for groceries each month.) Include your savings goals — your Roth IRA and savings contributions — in your tally. Hodgson DuQuesnay also suggests spending your weekly allowance in cash. “You’re much more attached to your spending if you’re spending in cash, and you’re able to keep account of it,” she said. Another tip is “planning” your spending. If you know in advance that, say, next week you’ve got a haircut that will cost you $30 or a birthday dinner that will cost you $25, then take that money out in advance and set it aside. 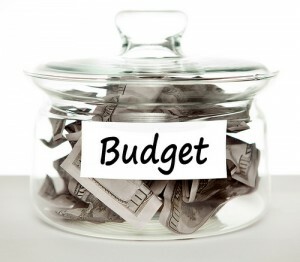 Don’t expect that your budget will work out perfectly immediately. Try out various figures for savings, debt payments and spending money until you find the right balance that will help you get to your longer-term financial goals plus allow you to enjoy life now. Remember what I said up top about how only one in three Americans has a budget? Well, if you follow the above tips, then pat yourself on the back: you’ve put yourself ahead of the game.